We are the Quentin Blake Europe School! We are very proud that the renowned illustrator of Roald Dahl's books and author of children's books in his own right gave his name to our school in October 2002. The naming ceremony was a happy and eventful week for all of us. One of many highlights was an improvised drawing session with the master illustrator in our school auditorium. Our school logo is designed by the illustrator himself. 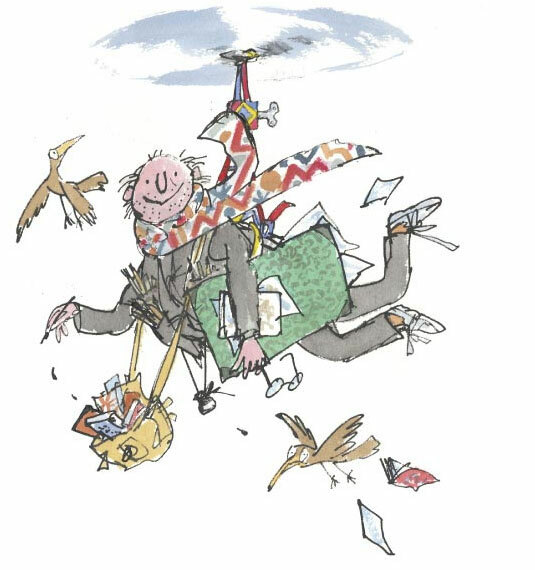 A man who understands children: Britain's first Children's Laureate, Quentin Blake.